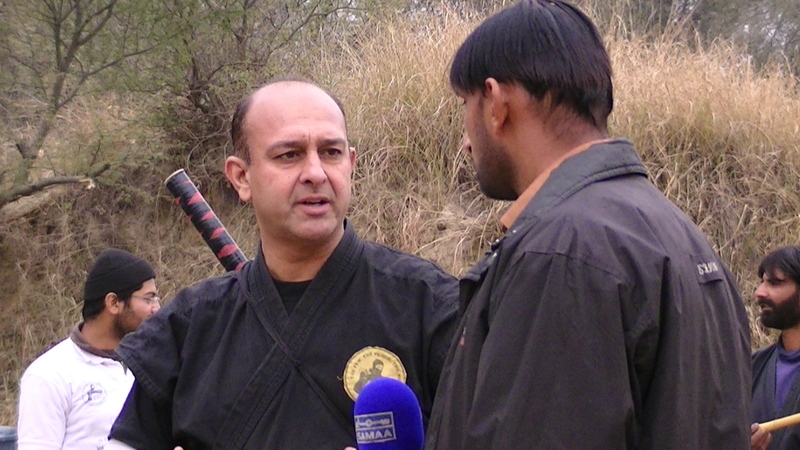 Chief instructor Mr. Irfan Bhatti born at Rawalpindi in 21st oct 1968. Got his early education from the same city. Shefter Lahore for higher education in 1985 and also started learning ninjutsu from G.M. Farhat Shah. Because of his training with dedication and emthusism, G.M permited him to start giving training to individuals and groups in 1990 even at the level of green Belt. Hosted and per organized and particepated in regional, provisional, national and international competitions. In 1993 he hosted 2nd national ninja championship where he is awarded the degree of Black Belt 1st dan. In 2004 he has been elected the chairman Pakistan Park Fed. In 2007 he is awared the degree of ABCDE and he is also the representative of ABCDE . Currently he hold the chair of vice President Asain Park Federation. He is also the head for the south of Asia.